First is biological drive to do certain things. Second is the drive owing to external motivations like rewards and punishments. When money is used as an extrinsic reward for some activity, subjects lose intrinsic interest for the activity. Just like caffeine cranks u up for a few hours, money acts as a short term booster only. Many people have inhibition of being a sales person. Sales is not about taking advantage of people. It’s about giving people more advantage. 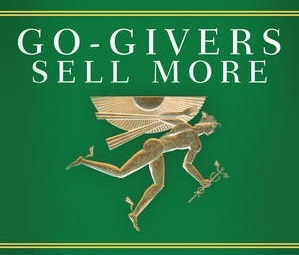 Sales is not about getting, it’s about giving. Real sales is about less talking and more listening. Suffering from chronic pain ?? Dharma is a complex word and is untranslatable. It means variously virtue, duty and law, but is chiefly concerned with doing the right thing. Duty, goodness, justice, law and custom all have something to do with it, but they all fall short.